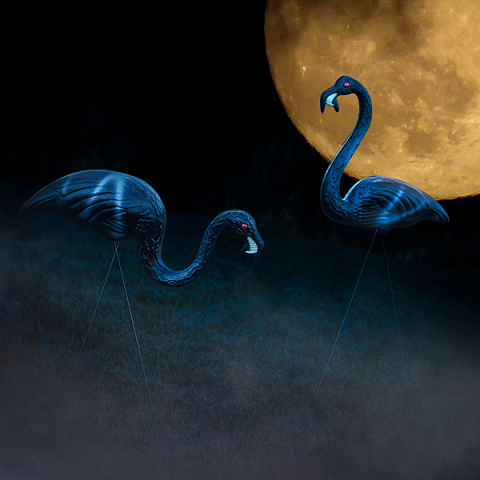 These flamingos have turned black from the zombie infection and their eyes have turned red. Oddly, they have sprouted fangs -- all the better to eat your brains with. One is standing tall, on the lookout for fresh blood and the other is bent over scavenging for leftover brains in the lawn. 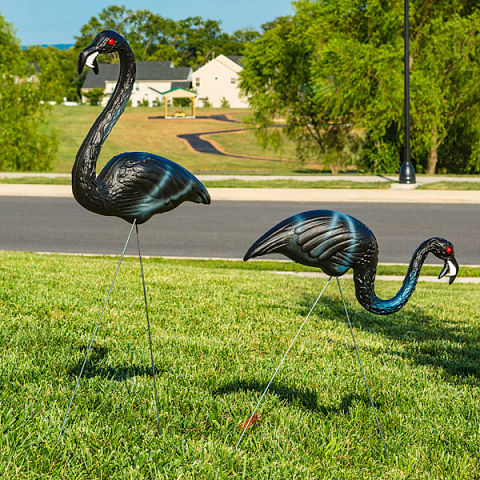 The pair are made of durable weather-resistant plastic and come with rust-resistant metal legs. They are easy to set up by just sticking the legs in the ground. You will amaze your friends and freak out the neighbors. Made in the U.S.A. Wooooooo! 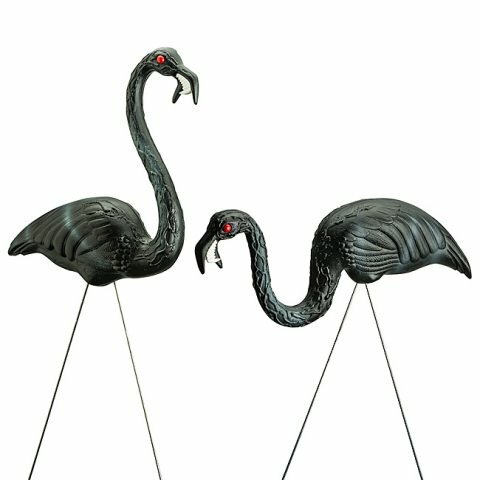 To order your set of two Zombie Flamingos, click here. Your Daily Dose of Odd: The Animal Video Of The Day!!! Charley Goes Running! : Aerobic Animal Video of the Day!